Recently (last week), the haze in Singapore was really bad, hitting the highest ever PSI at 401 (on 21 June 2013)! 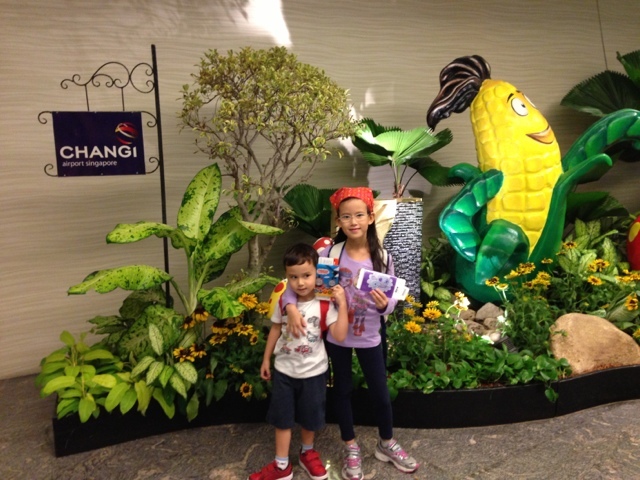 Being the panicky mummy, I quickly looked into all options to take the kids out of Singapore. The earliest reasonably priced flight I managed to find was early Sunday morning and so I made booking immediately after consulting with the hubby. 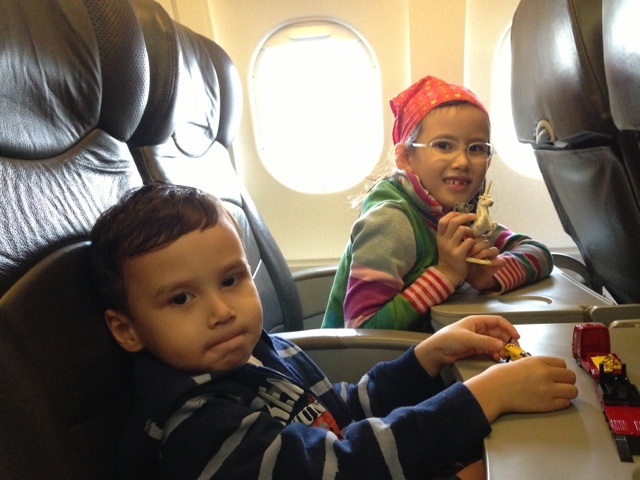 So on Sunday, the kids and I left Singapore for Phuket! And what a fun and tiring trip it was for me and them! Here's some wonderful memories we brought back! In the plane on the way to Phuket. 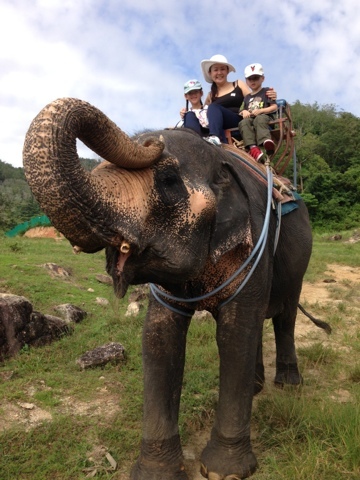 On the elephant treking ride. A first for all of us! 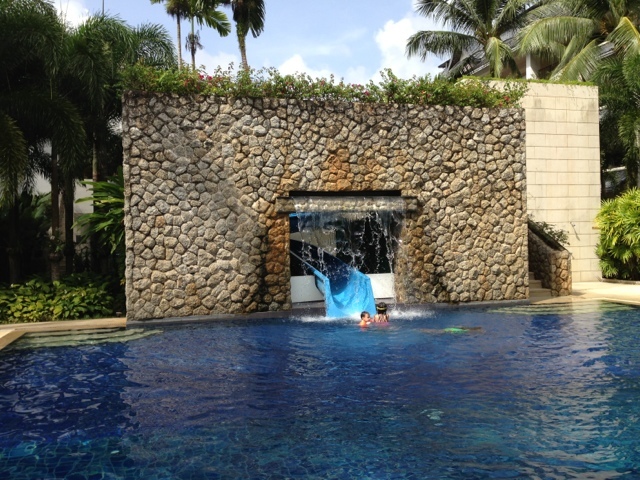 Going down the slide in the swimming pool in our hotel, Centara Karon. Island hopping... Visiting the three Khais. It was a little tiring with the kids wanting to do separate activities. 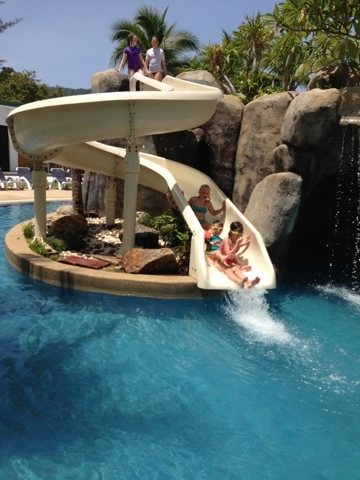 On the slide in the second hotel we stayed in, Swissotel Phuket.